Books on photography techniques often teach you the basic techniques in brief with lots of beautiful photos. The Photography Exercise Book by Bert Krages differs from those books by really going in depth to explain the rationale behind the techniques. This book focuses on seeing and thinking as much as on photographing. There aren't really exceptionally beautiful photos or Instagram-style photos in this book because that's not the point of this book. This book uses photos that anyone could have taken from life, and use those photos as illustrations to explain what works and not. I feel that you will be able enjoy photography more and also make better pictures when you understand the photography concepts better. That's what the book is trying to achieve. There are several exercises that you can follow and practice to hone your skills. There are also some suggestions on subject matters you can shoot. 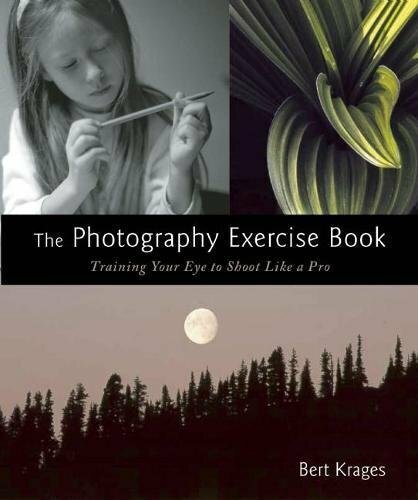 I find this book quite insightful and should benefit beginner photographers a lot. After you've gone through this 208 book, you'll also be equipped with knowledge on how you can evaluate your own photos. Overall, the book's quite worth the money for what you can learn and apply to improve yourself.